The Devil created by American culture is made in the image of American culture; our beliefs about Satan are part of a theological narrative that has shaped religion, pop culture, and even, in some cases public policy. What inspired you to write Satan in America? What sparked your interest? I’ve joked that I wouldn’t have had to write a book about Satan if my parents had let me go see Ozzy back in 1985. I’m not sure I’m entirely kidding since I grew up in the 1980s when, as I describe in the book, the culture was seized with what scholars call “the satanic panic.” Evangelicals’ insistence that dark powers are at work everywhere in the culture has always had a huge fascination for me, and this book gave me the opportunity to trace the background of that fascination. I hope readers come away with two things. First, that American popular religion and popular culture have tended to influence one another in very strange, but very real, ways. The 1973 film The Exorcist has had enormous influence over how everyone from Pentecostal “deliverance ministers” to Roman Catholic priests understand exorcism. Billy Graham, in a famous sermon in 1974 where he insisted that demonic presences lived in the very celluloid of the film, went on to describe demonic possession in exactly the same way the film had done. Second, I hope to point out that America’s historic sense of its own innocence and righteousness, and the concomitant belief that its enemies represent the demonic Other, helps explain our historic obsession with Satan. The book’s examination of the strange byways of American belief about the Devil is really a brief filed against the whole notion of American exceptionalism, the idea that we are somehow exempt from the terror and the moral complexities of history. Yes. In fact, my original conception was a book almost twice as long. My publisher felt, obviously, that a three-hundred-page book would be much more accessible than the almost six hundred pages I envisioned. This means I didn’t get to spend as much time on Satan in American literature as I had hoped (though there are long sections on important figures like Hawthorne and Twain). I think that I probably would have also, in a longer book, spent even more time on folklore, especially urban legend. I did manage to include a discussion of the Jersey Devil that connects those stories to misogynistic assumptions about women and their bodies. Readers will also find a discussion of the Proctor and Gamble legend that still gets recycled, the bizarre rumor that an unnamed P&G executive appeared on a talk show (at one time the claim was it was The Phil Donahue Show, later it became Oprah) and asserted that P&G gave part of their profits to the Church of Satan. This falsehood has circulated for a couple of decades and really has only abated in the last few years. There are lots more of those urban legends out there and I wish I had had the space to fit them, and an analysis of them, into the book. Darren Oldridge, a major scholar of the European witch hunts, published a book recently called Strange Histories that details some of the more peculiar beliefs held by people in the medieval and Renaissance periods and tries to explain them in their historical context. He says at one point that the book is not to be read as a “freakshow of misconceived opinion.” I feel the same way about my work. I’m fearful that it will be read by some educated liberals as simply a catalog of bizarriana rather than a study of a theological narrative that has shaped American religion, pop culture, and even, in some cases public policy. The book makes the case that a significant number of Americans believe in the same Devil believed in by Puritan preachers and 19th-century evangelists. This cannot be dismissed. Its essential to understand why this is so, what historical conditions gave rise to this phenomenon and what does it tell us about the United States. I had several groups in mind, all of which I think will be interested and challenged by the book. For example, I am fascinated by the growing number of pop culture addicts who want to examine how their interest in fantasy, science fiction, horror, and the fantastic in general connects to theology, popular religion, and the sacred more generally. There is a real and growing audience out there for this approach as evidenced by Gary Laderman’s book Sacred Matters, Joseph Laycock’s very interesting study Vampires Today, and sites like John W. Morehead’s Theofantastique that examines the borderlands between theology, horror, and the sacred. I also aimed the book at scholars of American religion in general. I think that they will find it useful to pair the book with some of the new cultural studies of Jesus in America by Stephen Prothero or Richard Wrightman Fox. 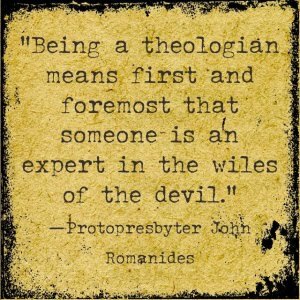 I think that scholars of American religion will find that looking at beliefs about the Devil opens up a new way of seeing old topics, from the Great Awakening to the twentieth-century decline of mainline churches. All three. The more you learn about how the Devil has been used in American history, the more pissed off you will be. I really try in the book to argue that beliefs about the American Devil are linked to constructions of true womanhood; true religion and fervent patriotism have ended in hatred, oppression, marginalization and persecution. This stuff should piss you off and if it doesn’t, to paraphrase the old saying, you are not paying attention. I do think that those who enjoy and consume vast quantities of pop culture will get a lot of pleasure out of this book (while they are possibly getting pissed off as well). Fans of everything from the blues to Buffy the Vampire Slayer will enjoy the weird angle on their favorite cultural obsessions. I wanted to call it American Satan: A Secret History. I thought this conveyed the sense that this is a cultural history rather than a theological work of some kind (its my great fear that some will think the book is the latter). My publisher really pushed for the title change and I understand why—it’s striking and conveys the sense that the Devil created by American culture is made in the image of American culture. I do love the cover. 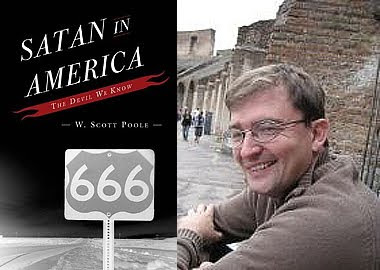 I hope readers note that there is a Highway 666 that runs through several western states. Not surprisingly, hosts of urban legends have grown up around it. Is there a book out there you wish you had written? Definitely Stephen Prothero’s American Jesus: How the Son of God became a National Icon. I obviously love this kind of national history, and it amazes me is how he manages to write not only a history of Jesus in American culture, but really a new kind of history of American religion that is challenging enough for scholars but also accessible to undergraduates and the general public. It’s an amazing work. Frankly, anything Prothero has ever written would be my pick. I plan to continue my collaboration with dark powers. In fact, I am, hopefully, not yet done with Satan. I am in very early talks with an accomplished documentary filmmaker about turning the book into a film or perhaps a documentary series. It’s too soon to pass along any details, but I am hopeful. For my next book, I plan to examine the role of the monster in American history and try to consider what American beliefs about monstrosity tell us about things like American conceptions of sexuality, disease, religion, and race. I’ve given some thought to focusing primarily on popular culture—maybe a focus entirely on film.